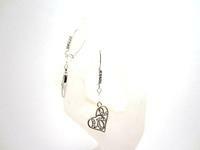 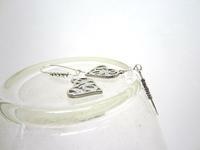 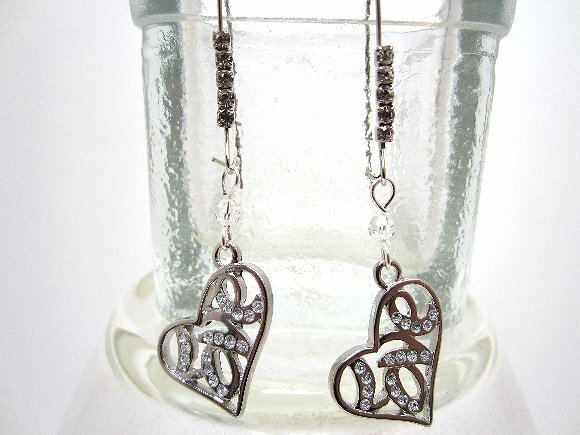 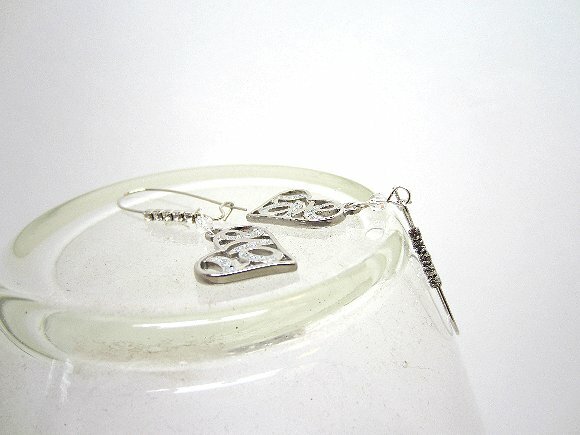 In these long dangle earrings clear crystals decorate not only the heart charms but the long kidney earwires, too. 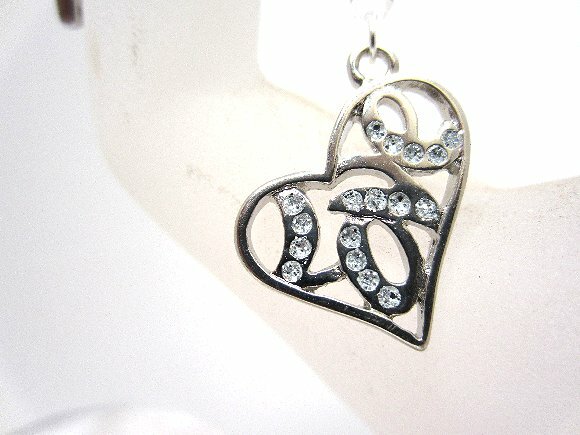 The word love -- set with crystal rhinestones -- is spelled out within the stylized heart charms. 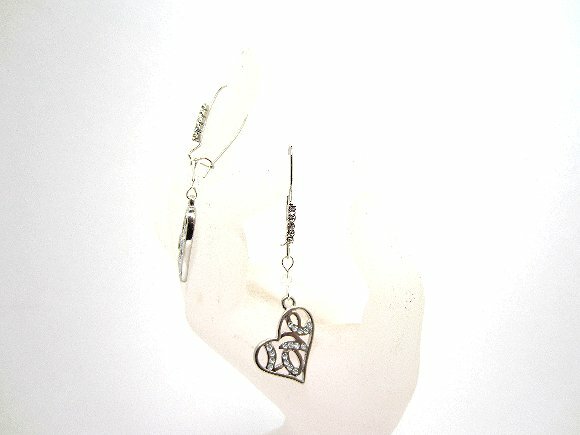 The earrings dangle about 2-3/4? 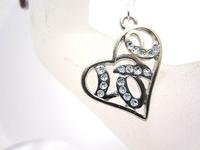 from the tops of the silverplate kidney wires whose row of five crystal rhinestones is securely soldered to their fronts. 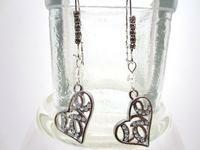 Declare your love for someone special by giving them these darling sparklers from Sparkle Plenty.